In common with the other premises in this terrace this property was built in about 1881. The first reported occupiers were Jesse and Georgina Holtham, in 1887, but it is uncertain that they conducted a trade from here. In January 1891 John J. Perrin, a stationer and newsagent, relocated his business here from the Bath Road and this was the origin of a trade that was to continue on this site until at least 1975. 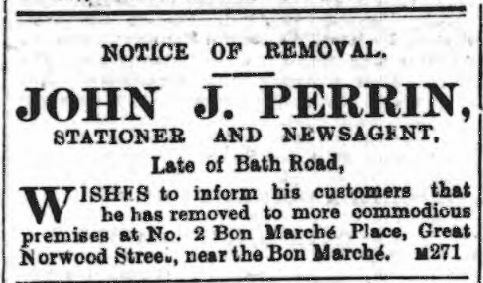 In 1909 John Perrin was paying an annual rent of £23 for these premises. He died in the following year, after which his wife Catherine continued the business for many years. ​The Perrin family traded here until about 1957 and were succeeded by Charles H. Cook and F.W. & B.I. Herbert, also newsagents. 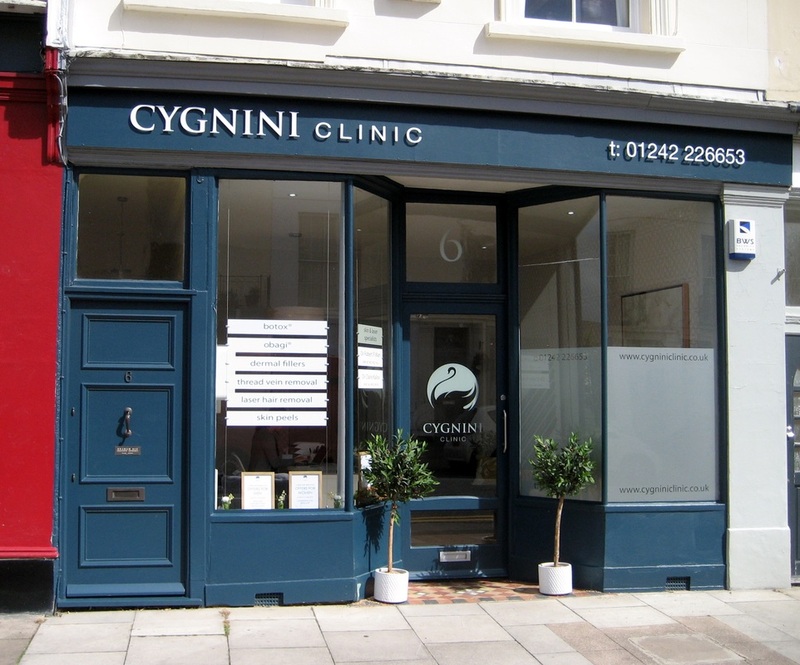 ​Previously called Look Amazing, in 2015 this property became home to the Cygnini skin and laser clinic.